What a fascinating and inspiring resolution! Schwitzer had a heart to serve the Lord and serve others. He also realized he had knowledge to gain, skills to learn, and gifts to develop. He saw the first 30 years of his life as the season to sow into himself and prepare for the future calling God had for him. But, he was also determined to not live a life focused on himself. After 30 he was determined to serve humanity—to serve others. There is a time for everything—a time to learn, a time to train, a time to prepare yourself. There is also a time to act, a time to serve, a time to bless others. What season are you in? How are you making the most of today? How are you devoting yourself to growth? How are you serving humanity? 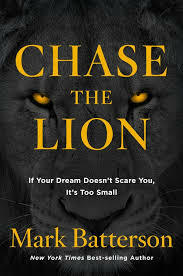 I highly recommend Mark Batterson’s book to you. You will be inspired and encouraged.